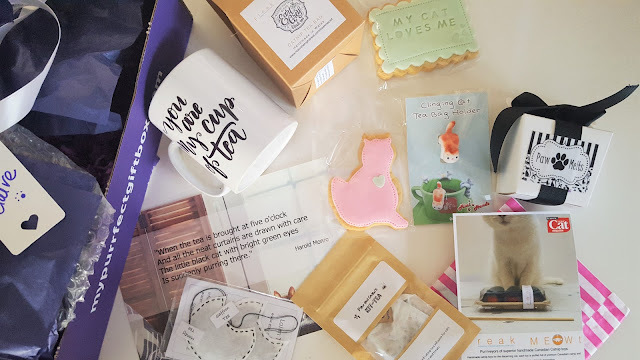 My Purrfect Gift Box - September 2016 and Giveaway!! 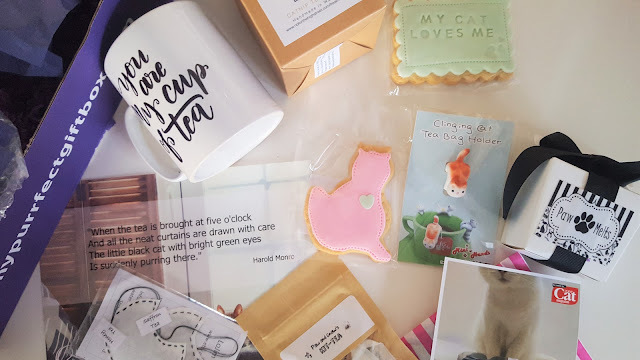 Another month has flown by, and a new box from the fabulous team at My Purrfect Gift Box landed on my doorstep ready to be unboxed for your enjoyment! 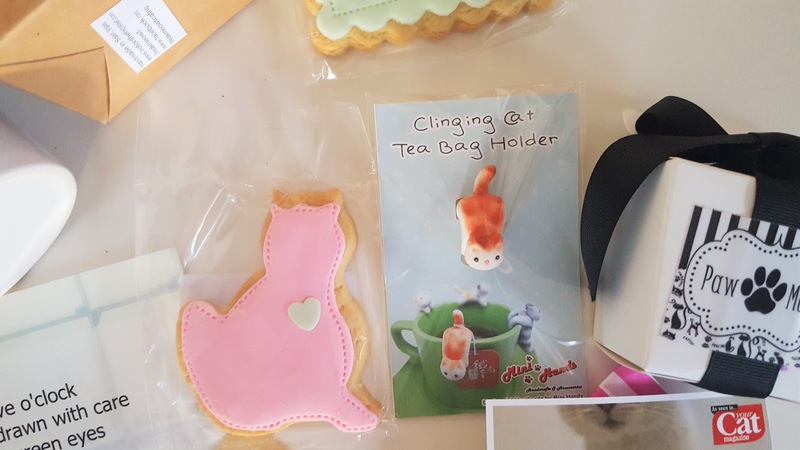 What's more, the team at My Purrfect Gift Box have given one of my lovely readers the chance to win the upcoming box for October 2016. All you have to do is enter my Rafflecopter draw below (it opens 16/10/2016 at 12am until 23/10/2016 at 12am) Goodluck! Filled to the brim, the September My Purrfect Gift Box was a joy to open! Tea themed, a mug, two hand made biscuits, tea bags and wax melts - what more could you ask for? Such gorgeous hand made items in every box - I get so excited to see what the theme is! 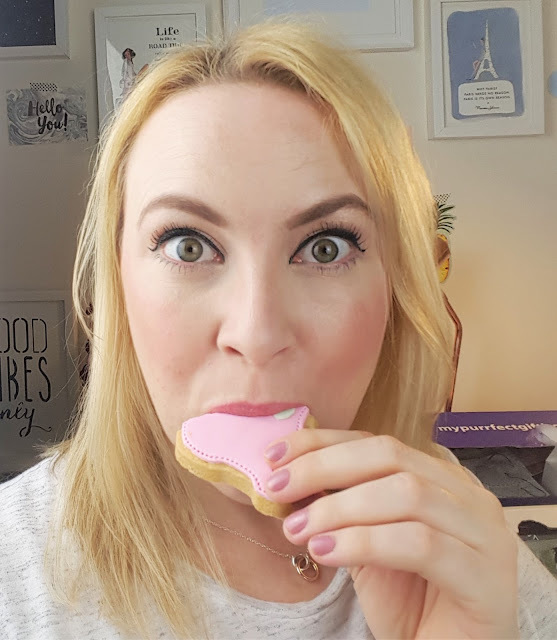 I couldn't wait to eat one of the yummy biscuits from the September box! What did you think of this box? 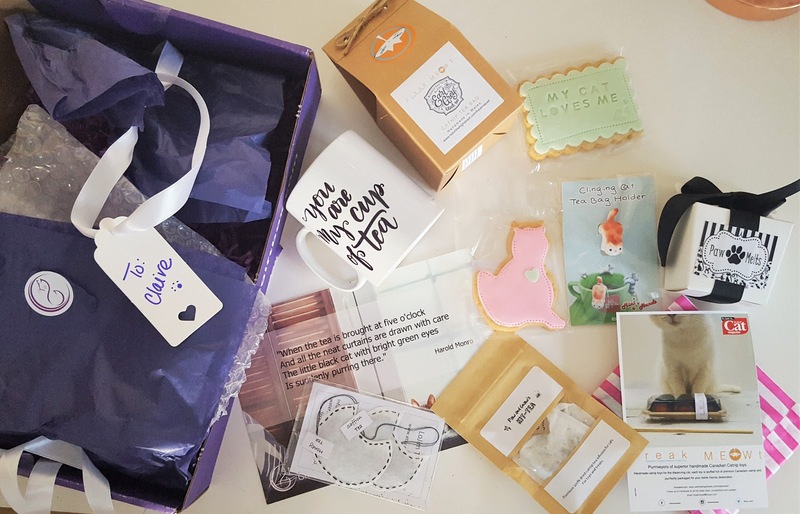 Do you like the concept of My Purrfect Gift box?